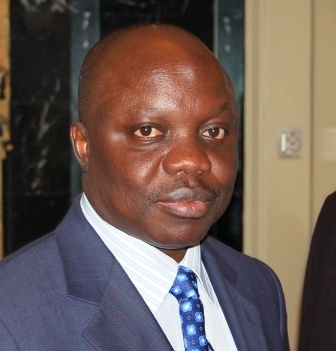 An Appeal Court in Benin has annulled the election of Delta State Governor, Dr Emmanuel Uduaghan following an appeal by guber candidate of the DPP in the 2007 election, Chief Great Ogboru. After he has finished his tenure! Yeah right. I find this really dumb. What sort of judicial system is this? The man has almost completed 4 year term before his election was annuled. Something needs to be done regarding election petition in Nigeria. How can somebody illegaly occupy a postion for close to 4 years before we now say he is no longer supposed to be there. What happend to all the allowances he has collected and all the perquisites of the office? Is he going to refund them? Nigeria we hail thee!!! stupid.why so long?cuz ibori is in jail...corruption. I see the Presidency attempting to dismantle Ibori's legacy. A tad too late perhaps? annulled- after he has almost completed his term of office? what is the point? This is a good news, if all nigeria will one day stand and say that those criminals that called themselves leaders should vacate their office it will be nice. The worst thing in our love Country is that we support thieves to be our leaders instead of good ones. Since I was born, i have never see or hear that either a local government or state stone a candidate during campane instead people will collect money and sell the right of their children and the nation in general. Delta state is not for family use, how the man enter as governor in the presence of all the elites was amazing. People only collect money and think that is the best thing to do. My prayer to day is that all those that collected money to push governor Uduaghan in as Delta state governor will die one by each day. Please I encourage all deltans to embrace good governance in Jesus Name. Eva Longoria's EMAs Dress...Loves it! Local Shea Butter Mixed with Bio Oil?